The Gorkha National Liberation Front’s (GNLF) trade union, the Himalayan Plantation Workers’ Union (HPWU), which had earlier announced gherao of the Darjeeling Tea Association and the Indian Tea Association offices with bonus payment demand, has taken back its programmes, in view of the tripartite meeting scheduled to be held on 22 February in Siliguri. The HPWU had earlier announced that they would launch such protest programmes from on Tuesday, to press for the second installment of last year’s puja bonus that is still due. “We have received a letter that says that a tripartite meeting will be held on the 22nd of this month to discuss the second instalment of the tea bonus. We will attend the meeting and see what happens there. Due to this, we are also taking back our gherao programmes announced earlier on,” HPWU general secretary JB Tamang said. According to him, they would see what transpires in the meeting, while the HPWU would sit for a meeting and decide on their further programmes after that. 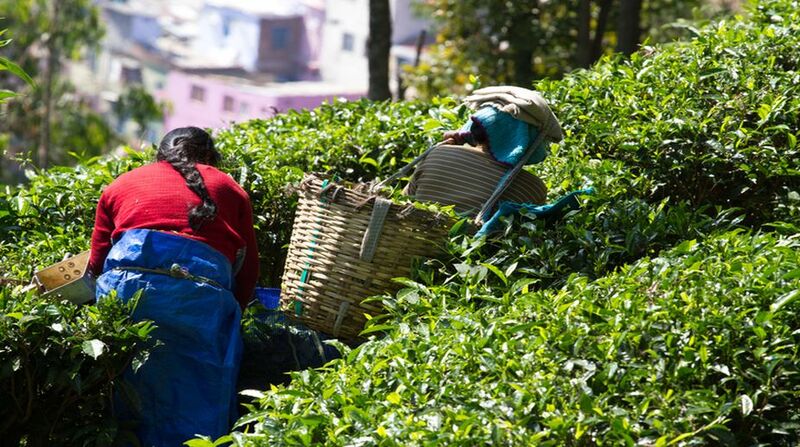 It may be noted that planters had agreed to pay last year’s puja bonus for tea garden workers in two instalments, given the closure of the gardens due to the Gorkhaland agitation and the prolonged shutdown in the Hills. While the workers received the first part of the payment last year, they are yet to be paid the remaining 50 percent of the total bonus agreed upon. A meeting was held on 4 January at Uttarkanya and the state government had directed the tea garden management to pay the second installment by 31 January. The Gorkha Jan Mukti Morcha- affiliated trade union, the Darjeeling Terai Dooars Plantation Labour Union, has given the tea gardens here a deadline of 28 February to pay the full bonus amount. The union has threatened not to allow dispatch of the first flush tea from the factories if the demand is not met within the deadline. Meanwhile, the venue for the tripartite meeting on tea workers’ wages, which was scheduled to be held at Uttarkanya on 22 February, will be held at Mainak , the staterun tourist lodge, the same day. The labour department changed the venue because of Chief Minister Mamata Banerjee’s arrival at Uttarkanya around 3.30 pm that day. Official sources said Miss Banerjee will address a rally at Hemtabad in North Dinajpur and leave for Siliguri by helicopter. For security reasons, her helicopter will land on the field of the Armed Force Training Centre at Dabgram. She is scheduled to stay at Kanyashree, the government guest house at Uttarkanya, and leave for Kolkata on 23 February, official sources said.